Espanyol striker Felipe Caicedo has landed in Italy to undergo a medical and sign for Lazio, according to reports. The 28-year-old has been given permission to skip the club’s pre-season tour and look for a solution in his desire to move to either Lazio or La Liga new boys Girona. Following their return to Spain’s top flight, Catalan side Girona, now linked with Man City, have already begun recruiting for the new season. 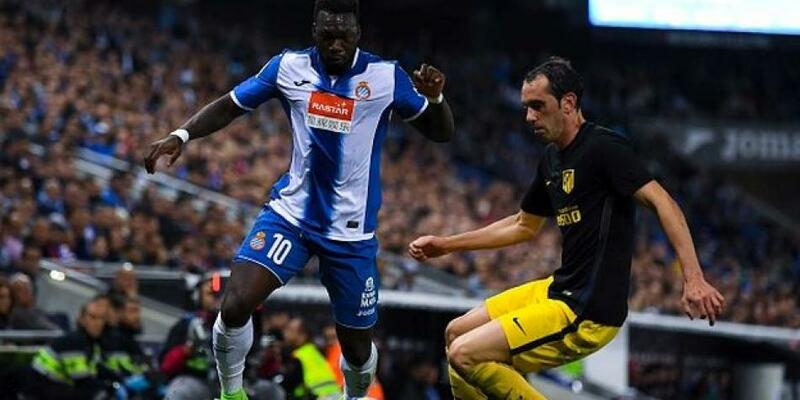 Having held discussions with Espanyol last week, it was expected that former City striker Caicedo was set to arrive across the Catalonia region. However, a problem of wages which were set at £1.8m-a-year by the Ecuadorian have halted such a move with Girona officials unwilling to pay that amount. Lazio were then in pole position to sign the Ecuadorian and will now join the club after medical examinations. The Italian club will be unable to play or register the striker until they have sold one of their non-EU players, according to Sky Sport Italia. Reports claim that the whilst the striker gained Spanish citizenship in 2015 after marrying Maria Garcia – it is not recognised by Italian authorities and with the Serie A side already filling their two non-EU places in the squad. Caicedo has had spells with Man City, Malaga, Sporting Lisbon, Basel, Lokomotiv Moscow and Levante before joining Espanyol.